Sonya Blesofsky is an installation artist. 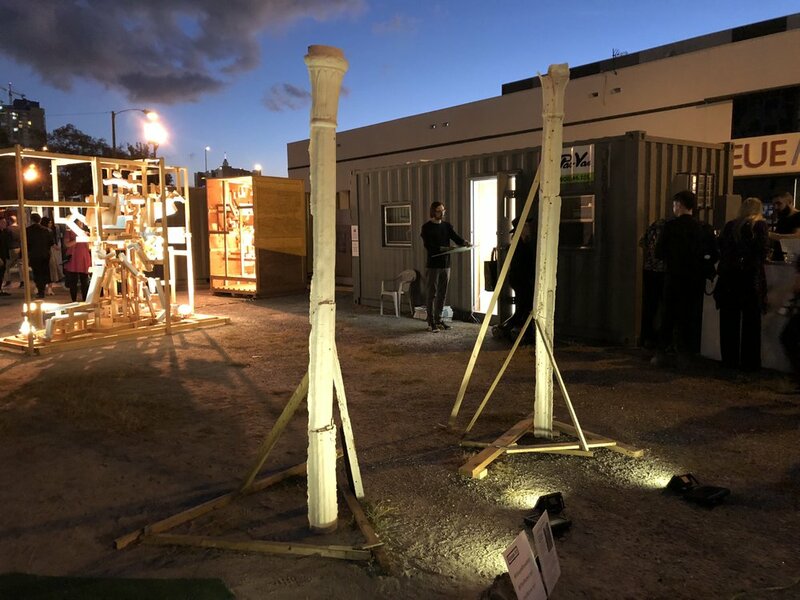 Her site-responsive work considers history and urban change as a metaphor for transition and loss. Her sculptural work employs drawing, embossed paper surfaces, found architectural objects, cast sculptures, and architectural interventions. For SATELLITE, Blesofsky will install two Jesmonite columns, Witness 1 and Witness 2, in the asphalt. 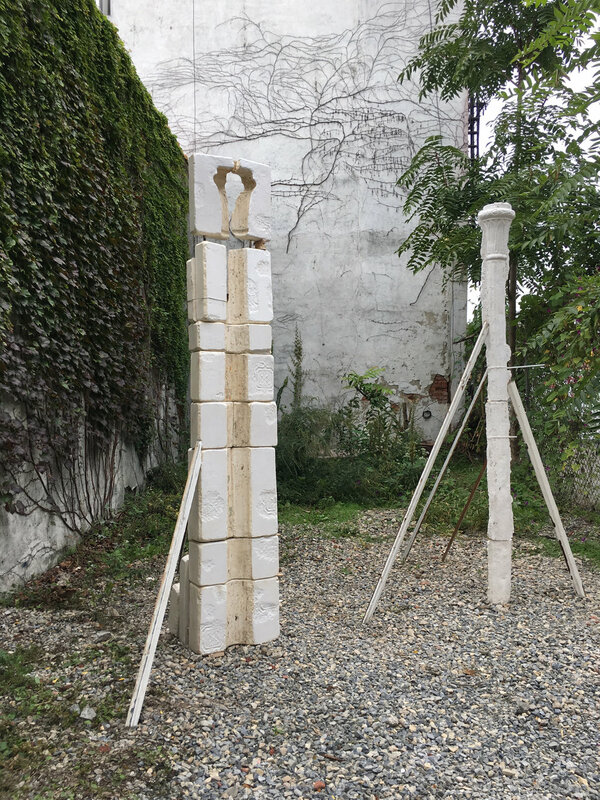 Blesofsky's columns are cast from two cast-iron columns she scavenged from a demolition site in her neighborhood in Brooklyn, NY. There, cranes and shiny new condominium buildings fill the skyline and remind her of the skyline seen across much of Miami and countless other urban spaces. 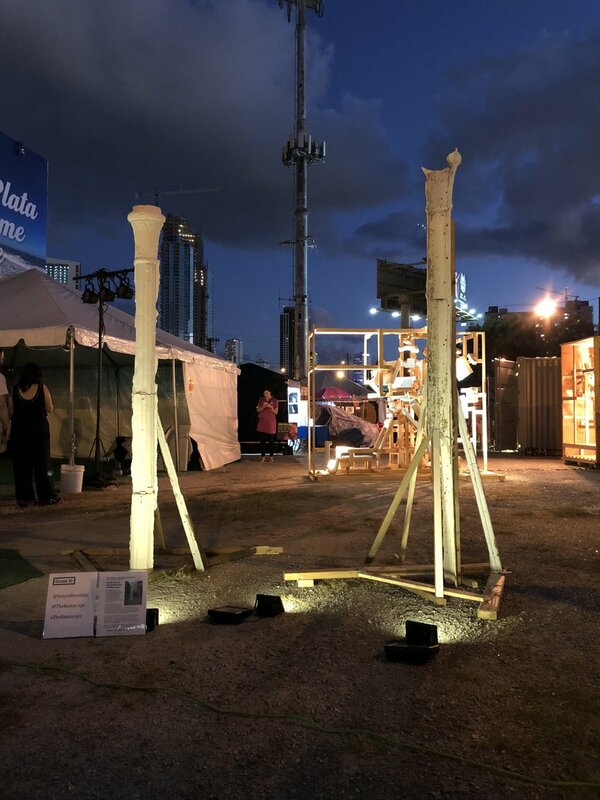 The columns she chose—experienced as imperfectly stacked and imperfectly-remembered towers—are meant to reference rapidly changing neighborhoods and the destruction and loss inherent in development. She sees these remnants of architecture as witnesses to lives lived. Blesofsky received her MFA from the San Francisco Art Institute and BA from UC Santa Cruz. She has received numerous residencies and fellowships, including Urban Glass, the Lower East Side Printshop, Museum of Arts and Design, CUE Art Foundation, Smack Mellon, Dieu Donne, and MacDowell Colony. Blesofsky’s work has been shown at galleries in Miami, San Francisco, Kansas City, Minneapolis, New Orleans, New York City, and Washington DC. Blesofsky’s work has been written about in The Village Voice, San Francisco Chronicle, New York Times, NYFA Current, Art Fag City, Hand Papermaking Magazine and The Brooklyn Rail. Blesofsky will be a Iaspis Grantholder at the Swedish Arts Grants Committee’s residency in Stockholm, in 2019. Born in Boston and raised in California, she currently lives and works in Brooklyn, New York. 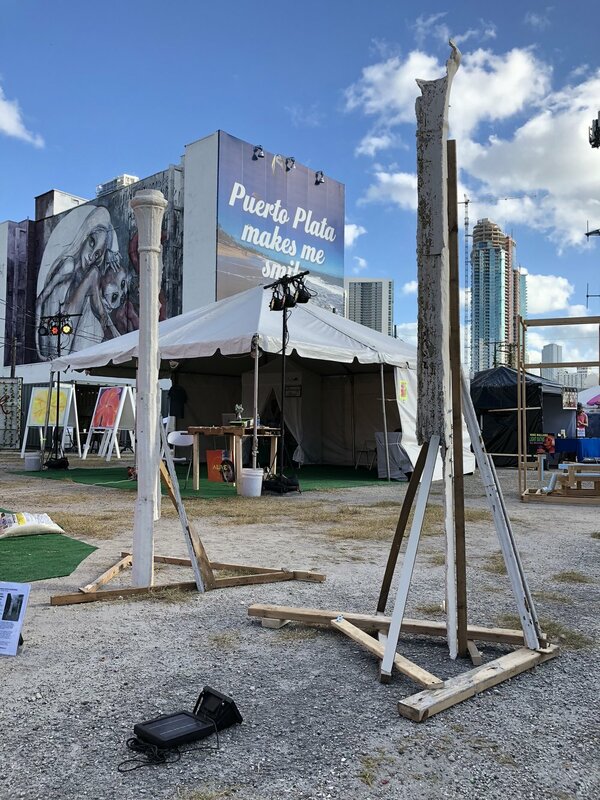 SATELLITE 2018 will be held next door to NADA Art Fair at a 33,000 square foot lot in the heart of the Art and Entertainment District of Miami. We are conveniently located just a short walk from Art Miami, Context, the Adrienne Arsht Performing Arts Center and the Perez Museum.